Police are investigating half a dozen vehicle break-ins in Patcham – and are looking to trace two youths captured on CCTV. Over the space of a fortnight, between Monday, March 25 and Sunday April 7, six incidents were reported in the Patcham area which police believe are linked. 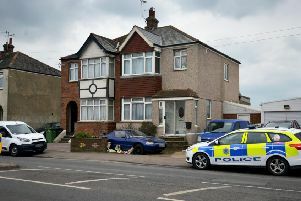 Police said: "Offenders are reported to have interfered with vehicles and stolen items from within." Sussex Police has now released CCTV images of two youths captured trying car door handles in The Deeside, around 2.53am on Friday April 5. Anyone with any information is asked to report it online or call 101, quoting serial 847 of 07/04.